The friends suggested that our field trips would not be complete with out a visit to Housesteads Roman Fort to see a large section of Hadrian’s Wall. We had been to see several smaller chunks of the wall but never the more impressive stretch. Hadrian’s Wall is 73 miles long and stretches across England from the coast of the North Sea to the coast of the Irish Sea. 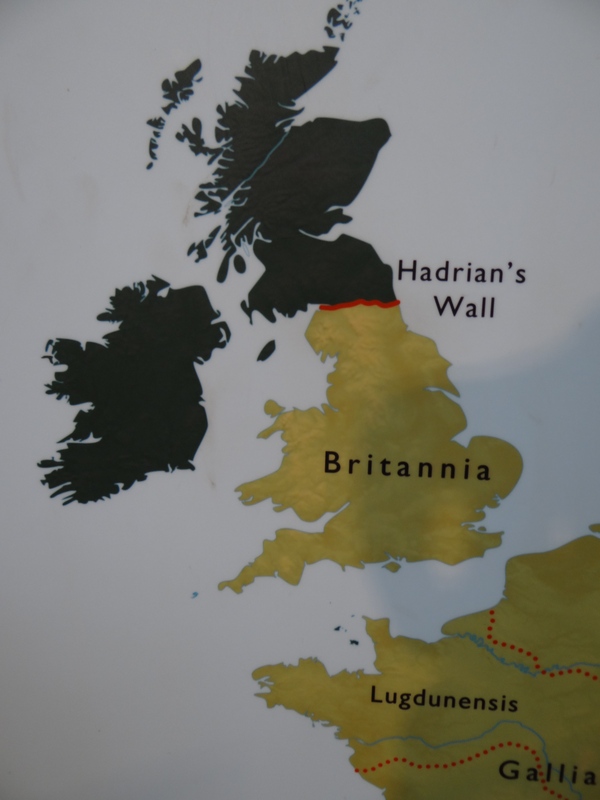 The Roman Emperor Hadrian ordered the wall built on the northern most section of the Roman Empire in AD 122. The purpose of the wall was to keep out and defend against the “barbarians” to the north. We explored the fantastic remains of the Roman Fort at Housesteads. They have the footprint remains of a commander’s headquarters, troop barracks, a latrine, the impressive gatehouse and of course the wall itself. We saw a very informative video presentation about the fort and then did a bit of exploring around it ourselves. The four Haynes’ felt up to a hike along the wall so Mr. Ray graciously agreed to let us head out and then meet us a car park 2 and a half miles down the road. The hike took quite a bit longer than we expected as the wall in this area crosses a very large cragg. Although it was difficult terrain the views of the wall and the surrounding land on either side was truly spectacular.